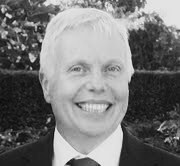 Nigel Daly is a highly experienced change manager, helping individual leaders through change via coaching, teams through change via integrated programmes of workshops, training and coaching and helping larger teams/organisations through change management programmes. He brings extensive successful experience in programme management within financial services, as well as consultancy, coaching, and training. His experience is supplemented by professional qualifications in coaching, psychometrics, project management and more recently a Masters Degree in Global Leadership, covering leadership organisation culture and change management, in both national and international contexts. He has worked with many blue chip companies including Barclays, National Australia Bank, HSBC , BT, Network Rail and Thales, both within the UK and internationally. A lay minister in the Church of England, in his spare time he runs a small charity in Kampala, Uganda and regularly visits the country to develop leaders and promote sustainable development.